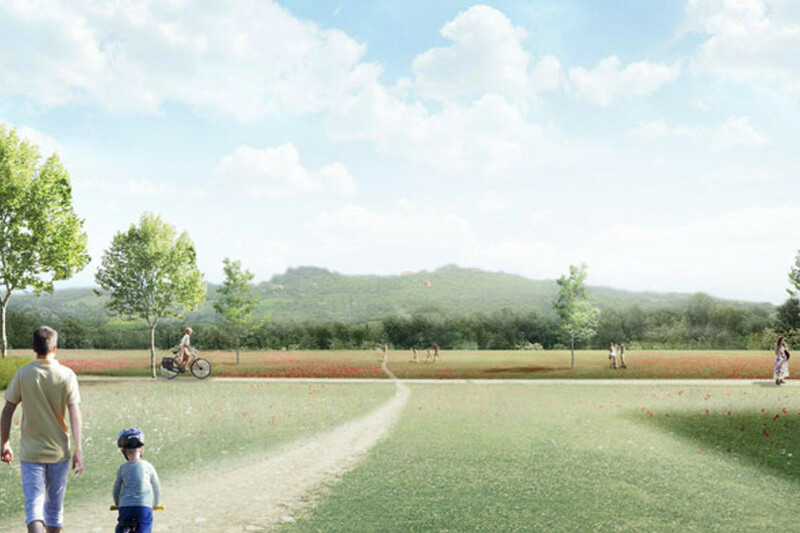 The Bologna Fronte Parco project will redevelop a vast area – currently closed to the public – in Casalecchio di Reno (about 15 minutes away from the Bologna city center) and link it to one of the most picturesque nature parks of metropolitan Bologna. This area has been obtained from the decommissioning of a production plant overlooking the Reno river park, south from the center of Casalecchio di Reno. 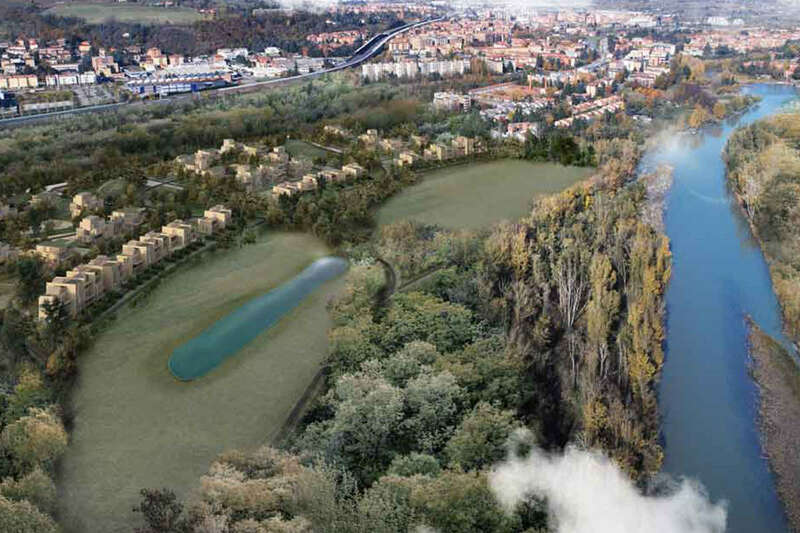 The area is located between the existing residential area, a sports center, and the Parco della Chiusa, also known as Parco Talon Park, one of the region’s main nature parks. 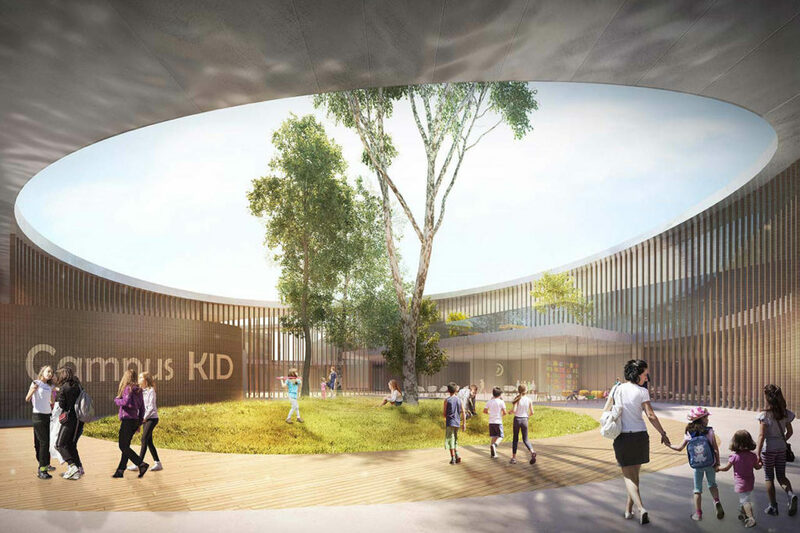 The planning solution stems from the interaction between the residential areas and the Reno river park. 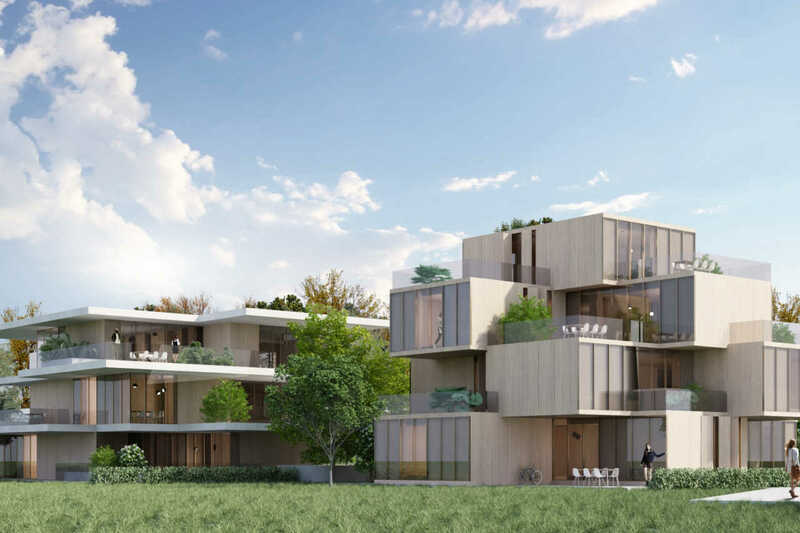 The plot is crossed by two green “channels”, which generate three protected residential blocks that integrate perfectly into the surrounding green areas culminating in the public park right by the river. The access points don’t interfere with this green area, defined by hills and vegetation, which serves as a natural barrier to the nearby road and railway. 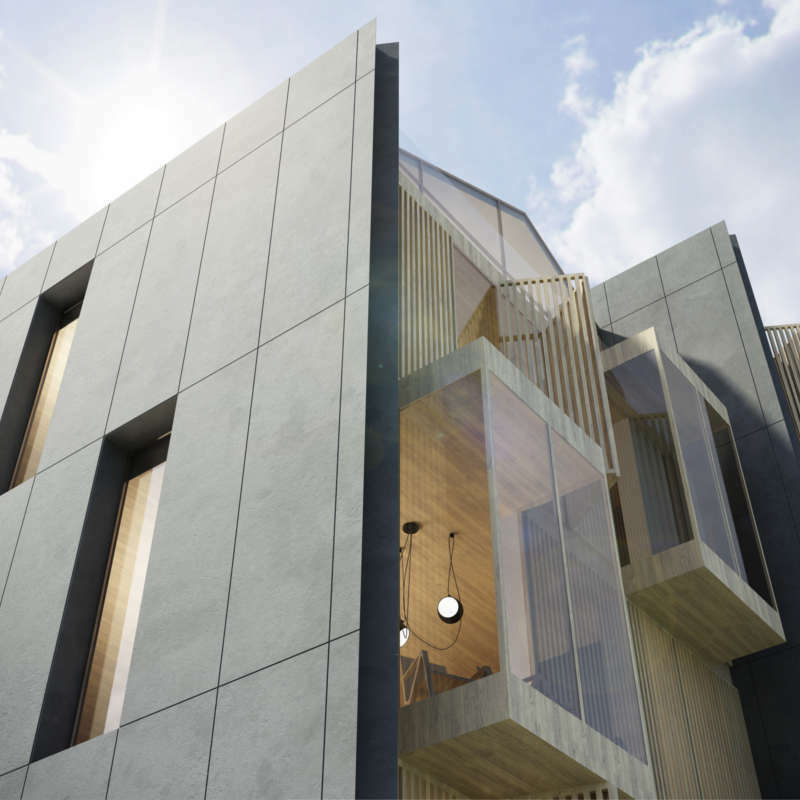 The driveway effectively distributes the traffic flow without interfering with the residential and green areas. Two public parking lots near the main entrances serve the public park. 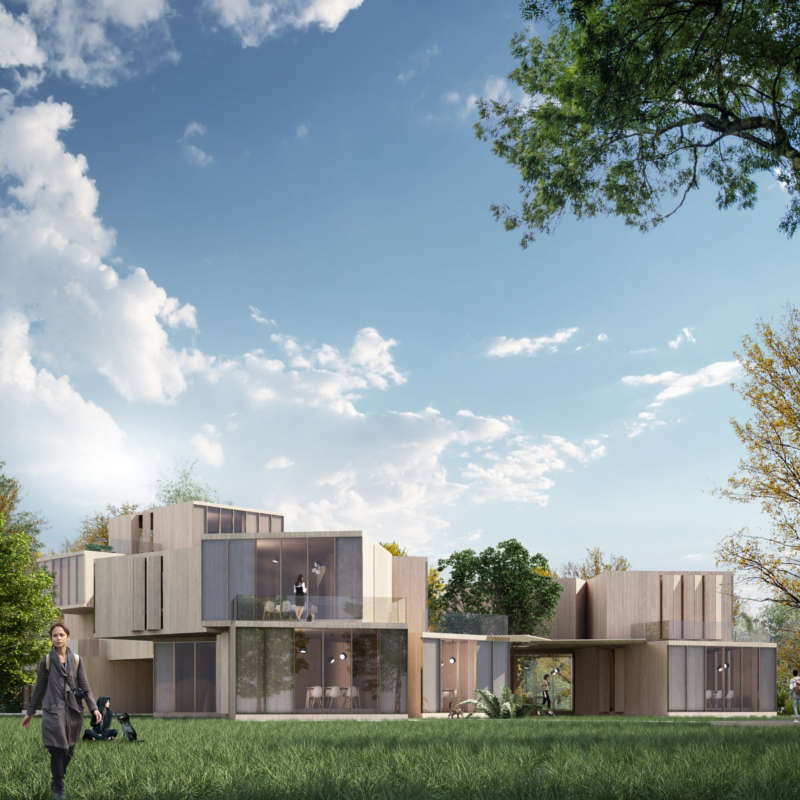 This new urban context is divided into three large private residential areas overlooking pedestrian squares, interconnected by public spaces, and a side adjacent the park consisting of fragmented volumes, which create a continuous yet permeable setting. 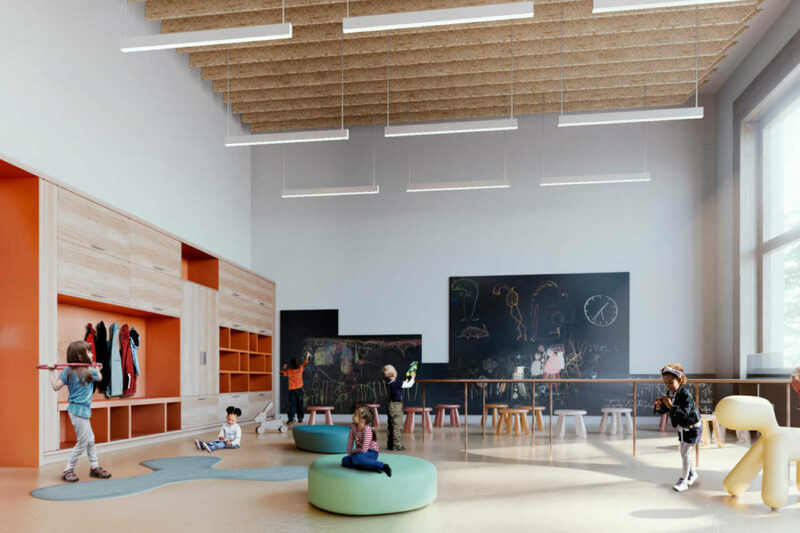 The project involves the development of 22 building plots, which create a habitat where architecture meets the environment, thanks to an accurate selection of shapes, materials, and colors. 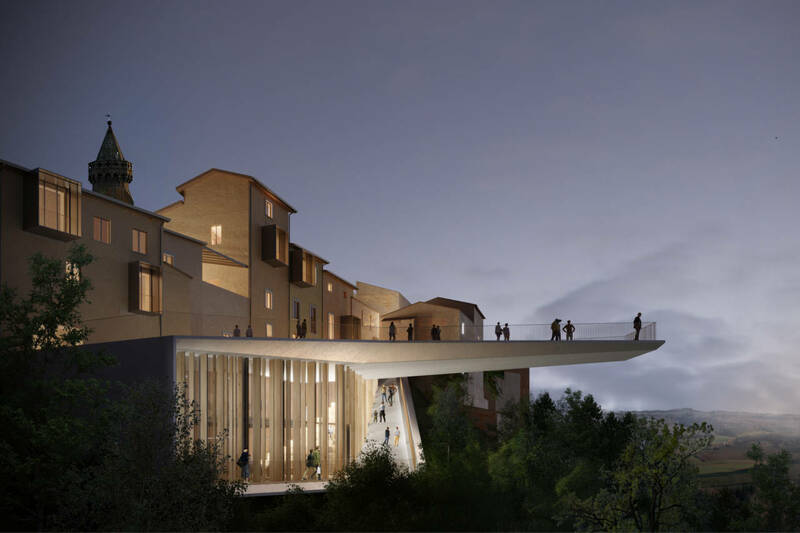 The four solutions we have developed use easily recognizable architectural concepts to create a pathway that will allow visitors to discover heterogeneous yet harmonious settings. 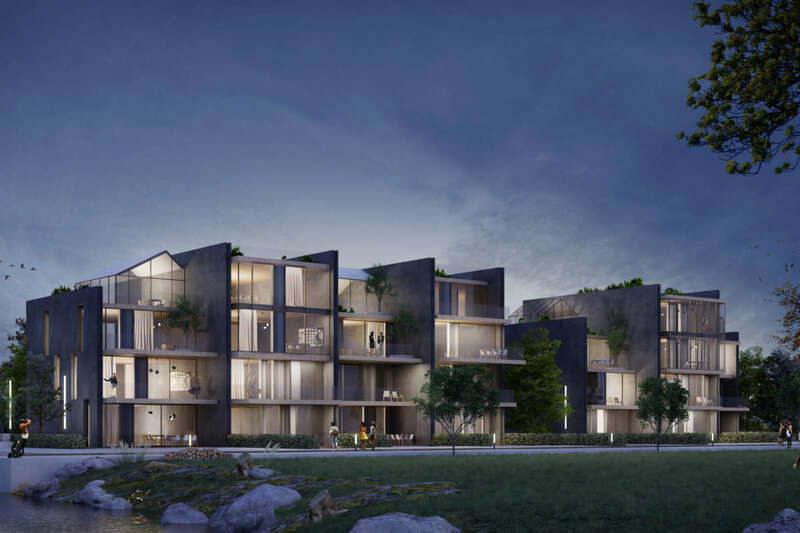 The residential buildings feature large terraces overlooking the nature park, whereas the three blocks that wrap around the pedestrian squares are structured in 3- or 4-story buildings and villas or duplexes. 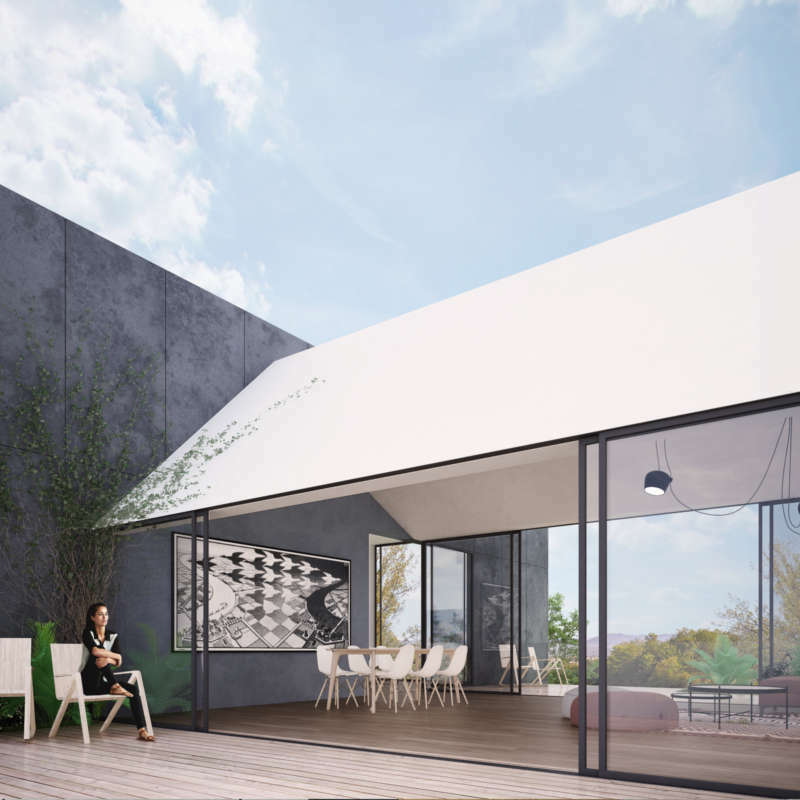 With respect to the masterplan, the orientation of the buildings and their integration with the landscape optimize comfort by adopting sun shading solutions, preferring permeability to cool summer breezes, and mitigating the effects of cold winter winds.